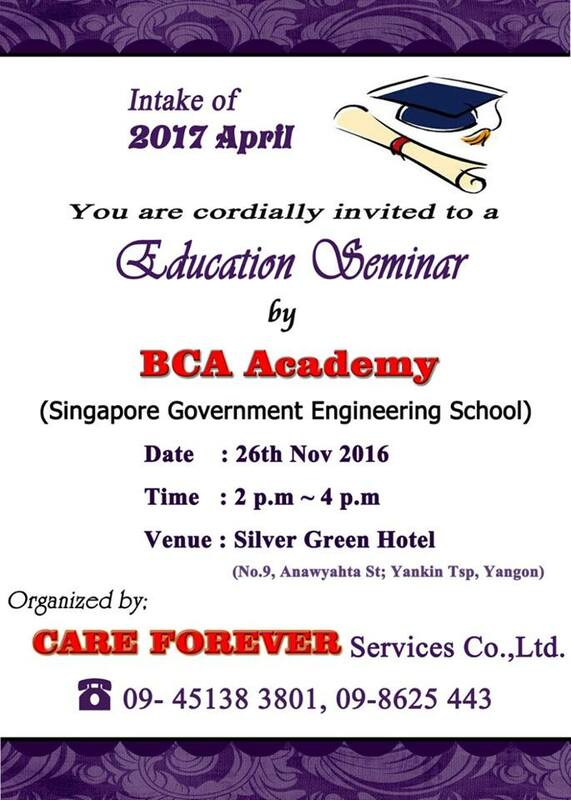 The school opened in April 2017, BCA Academy of Education Seminar on Nov 26th from noon 2pm to 4 pm in Yankin Township, near of 12 loan traffic light, Anawrahta Street (Silver Green Hotel) by CARE FOREVER EDUCATION CENTER and BCA Academy teachers will be held in cooperation. Pre-registered can attend free. No need any other document. For more information, phone or Care Forever can be contacted via face book chat box of investigation.